Home > Treatment & Support > Alcohol: Abstinence or Moderation? Whether a person who abuses alcohol should abstain completely or can learn to moderate their habits is a heavily debated issue. While most experts support the notion of total abstinence, there may be a place for moderation in some instances. For someone who has a problem with alcohol, taking those first steps to making a change can be the most difficult. The structure of moderation usually is to have no more than one drink a day for women or two drinks for men. The aim with moderation is to help people who have problems with drinking to reduce their use of alcohol before the signs and symptoms of the abuse begin to show. There is some research to suggest that moderation can be a strategy that works for those people who haven't actually developed a harmful pattern of abuse or have yet to suffer from the consequences associated with alcohol abuse. It is something of a fine line but the idea is that moderation may work for those who have not yet crossed it. Experts cite that if a person is seeking professional help to moderate their drinking, they are showing a desire to change. By pushing abstinence too soon, this person may pull back and drink even more. If limiting their use of alcohol then fails, abstinence can be the next step. But for those who are showing readiness to deal with their drinking and are expressing a desire to moderate it, this strategy can work. An important distinction must be made between those who are dependent and those who have identified problems with their pattern of alcohol use. A person who has crossed the line into clinically diagnosed dependence is not likely to benefit from moderation. This means that if you already meet the criteria for dependence right now, then research suggests that moderation will not be helpful. Instead, the vast majority of health professionals recommend abstinence. One of the challenges here is to learn exactly who could benefit from moderation and who needs abstinence. One expert in the field believes that there are ways to determine if moderation should be tried or if abstinence is necessary right away. While clinical dependence is one approach, there are still different markers. The severity of the alcohol abuse is thought to be a key indicator of whether moderation could be considered for the patient. As severity increases, the likelihood of a person being able to moderate their alcohol use decreases. With moderation, the aim is to help a patient form some goals and limits before they become dependent – not after. So while one approach is to look at simply dependence versus problem drinking, another scale removes this line and looks at severity in terms of drinks per day. Most experts will agree that your decision to make any changes at all marks an important milestone in your quest to keep alcohol from controlling your life. 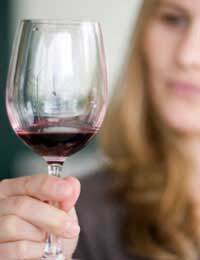 While those who meet the diagnostic criteria for alcohol dependence are best to go the abstinence route, some of those who have not yet crossed that line could initially benefit from moderation. If that does not work, then abstinence will be a more appropriate route. Whatever your choice, it is important to seek the advice of a professional counsellor or physician who can help support you through your path to gain control over your life. @Ginni. Please see the comments at the end of our feature Living with an alcoholic, there are some helpful suggestions from people with similar experiences. I have been living with an alcholic for seven years.Life has been hell.He has had at least four detoxes since then but still he drinks from morning until he passes out early evening.We have just moved to a different area because he was always falling down in the street we used to live near.I thought we could make a new start but now he is behaving in the same way at our new address and the neighbours have guessed he is an alcholic who wouldn't with all the cans left for the bin men.He is abusive and tells me I am thick, stupid etc, saying his drinking is my fault.If I don't buy him a certain amount of beer a day he will harrass me until I do.Any suggestions.I used to love him but now I am beginning to hate him.